The holiday season is finally here! 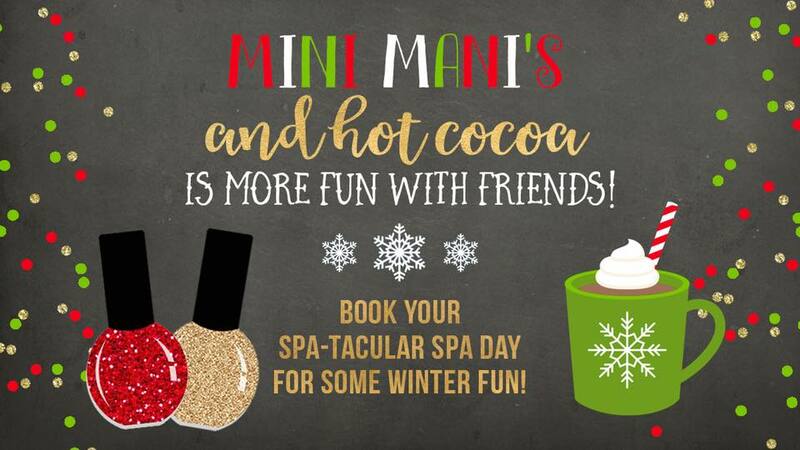 Come join us for hot cocoa & mini mani’s at Spa-Tacular Parties! This event is by appointment only, so please call to reserve your spot today! For more information please view our event on Facebook. Spa-Tacular Parties is Turning 7! Richmond’s Most Loved Kids Spa!